I represent that I am the parent or legal guardian of the participants(s) named below, or I have obtained permission from the parent/guardian of the participant(s) named below to execute this agreement on their behalf. 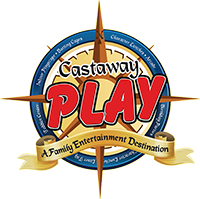 I agree that the participant(s) named below and I shall comply with all stated and and customary terms, posted safety signs, rules, and verbal instructions as conditions for participation in any party and/or program at Castaway Play. In addition, if I observe any hazard during our participation. I will bring if to the attention of the nearest Castaway Play employee or official immediately; I am aware that there are inherent risks associated with participation in Castaway Play programs, parties, and/or use of the play area and equipment and I, on behalf of myself and the participant(s) named below, knowingly and freely assume all such risk, both known and unknown, including those that may arise out of the negligence of other participants; and I, for myself and the participant(s) named below, and our respective heirs, assigns, administrators, personal representatives, and next of kin, hereby release and hold harmless, Giles LLC, Castaway Play, LLC, and, their affiliates, officers, members, agents, employees, other participants, and sponsoring agencies from and against any and all claims, injuries, liabilities or damages arising out of or related to our participation in any and all Castaway Play programs, activities, parties, the use of the play area and/or equipment. When the Waiver Form is submitted we send you a free SMS to your phone number to deliver your Waiver ID. Msg rates may apply. By entering this facility, you are agreeing to the above terms and conditions. In addition you are also acknowledging that you and your child are free from any of the following symptoms: Nausea, Vomiting, Fever, Sore Throat, Runny Eyes, Coughing, Diarrhea, Chicken Pox, or any other illness of contagious nature. Please DO NOT ENTER if you or your child feel unwell, we will gladly give you a return visit pass if this is the case. This agreement is just for YOU. This agreement is for 1 MINORS. This agreement is for 2 MINORS. This agreement is for 3 MINORS. This agreement is for 4 MINORS. This agreement is for 5 MINORS. This agreement is for 6 MINORS. This agreement is for 7 MINORS. This agreement is for 8 MINORS. This agreement is for 9 MINORS. This agreement is for 10 MINORS.